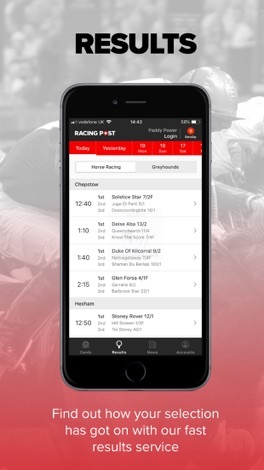 Download the knowledge of more than 200 experts with the Racing Post app. 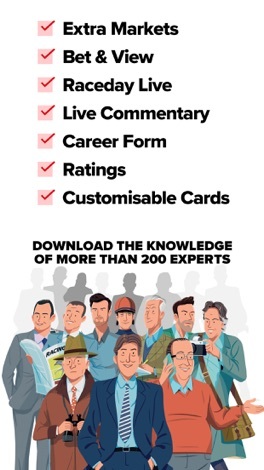 Racecards, fast results, expert tips, free bets, latest breaking news, live race streaming and seamless betting. Take advantage of the fastest and easiest way to place an informed bet. When You Bet on Racing. You Can Bet on Racing Post. 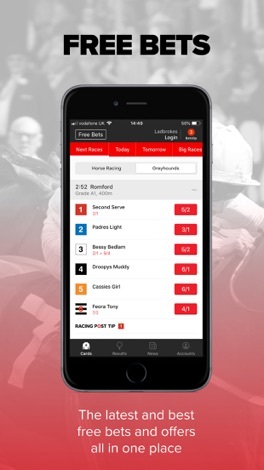 Need to see the field before you make your selection and place your bet? 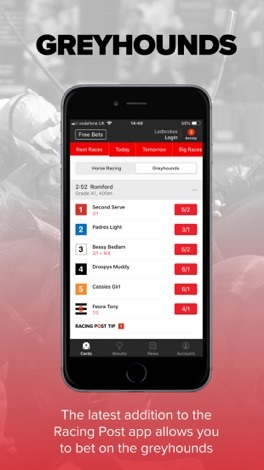 Find out about all the horse racing runners in every race with our detailed racecards. Our deeper form will let you delve further into individual form, race records and pedigree for every horse than ever before. 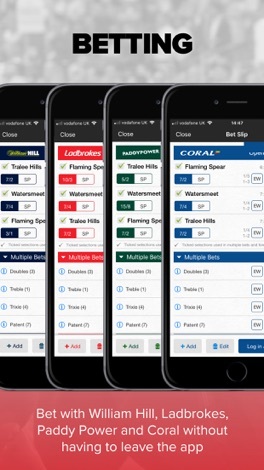 Once you’ve made your selection, bet seamlessly with Coral, Paddy Power, William Hill and Ladbrokes through our integrated betslip without having to leave the app. Simply log into your existing account or register. You can also take advantage of weekly bet offers and Best Odds Guaranteed on daily UK and Irish races! 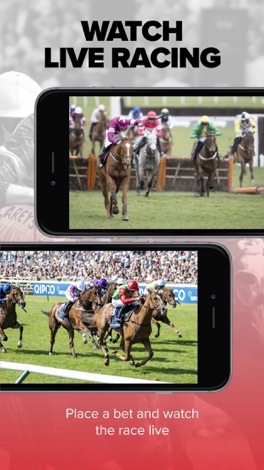 Bet £1 or more on any UK or Irish race and you can watch how your horse gets on live on the app with our Bet-And-View service - never miss a winning moment again! Interested in hunting out the value bets? This is where our renowned tipsters come in. Our Spotlight Verdict gives you the most likely winner plus we pick out the killer key stat in each race. Still not sure? We also compile a list of racing tips by all our leading tipsters and other national publications. 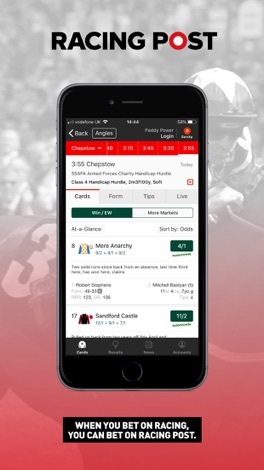 The Racing Post Predictor will also give you an animated prediction of the placings in any race based on unique Racing Post stats and ratings. Keep on top of things throughout the day with our breaking news service. 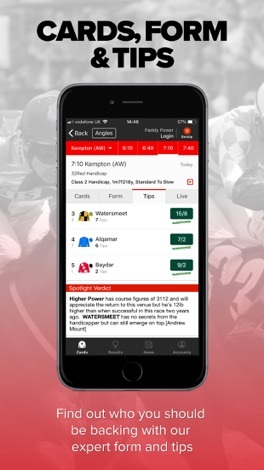 Whether you are following the market movers, need updates on the racecourse going or want to know about any non-runners, our on-course experts are always sending through the latest news and information with our handy Raceday Live feature. 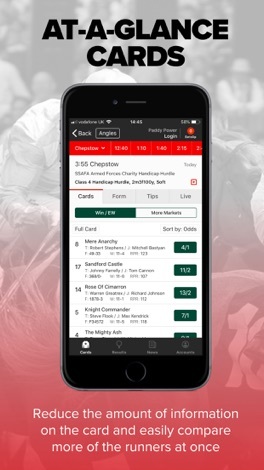 Can’t view the race and want to find out how your horse got on? Our latest results service will keep you in the know - we provide you with a fast result followed by a more detailed analysis of every runner in the race.